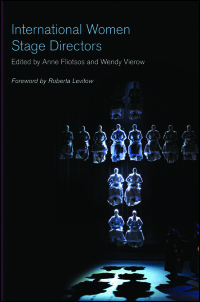 Northwestern University Press, November 2018. Postdramatic Theatre and Form. Eds. Shane Boyle, Matthew Cornish, and Brandon Woolf. London: Bloomsbury Press. March 2019. "How France Canonized the American Avant-Garde"
The Sixties, Center Stage. Eds. James M. Harding and Cindy Rosenthal. Ann Arbor, University of Michigan Press. April 2017. 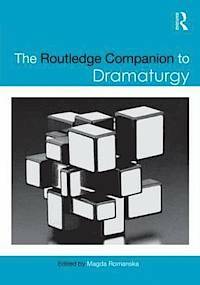 "The Making of La Dramaturgie in France"
The Routledge Companion to Dramaturgy. Ed. Magda Romanska. New York: Routledge. July 2014.
International Women Stage Directors. Eds. Anne Fliotsos and Wendy Vierow. Champaign: University of Illinois Press. 2013. "L'Entrée libre à l'ex-théâtre de France: the Occupation of the Odéon and the Revolutionary Culture of the French Stage"
May '68: Rethinking France's Last Revolution. Eds. Julian Jackson, Anna-Louise Milne, James Williams. Hampshire: Palgrave MacMillan, 2011. Theatre Topics. Vol. 27, Number 2. July 2017: 95-107. "Philippe Quesne’s Quest for Wonder"
Theater magazine, 46:3. February 2017: 115-121. Performing Arts Journal. 111. Volume 37, Number 3. September 2015: 78-84. Performing Arts Journal. Volume 37, Number 2. May 2015. "The Sum of Testament is Love"
Performing Arts Journal. Volume 36, Number 1. January 2014. "'Toute ressemblance est voulue:' Theatre and Performance of May '68." Modern and Contemporary France. May 2008. "In the Jungle of Cities: May '68 arrives in Avignon"
Theatre Symposium, Volume 14. University of Alabama Press. 2006. "Sometimes Cloudy, Sometimes Clear: God, Religion and the Williams Passion Play"
The Tennessee Williams Literary Journal, Volume v, Number 1. Spring 2003. "Je me souviens: De Onderneming in Montreal"
"Human Puppets Dangling by Strings of Fate"
Theater magazine, 32:3. Fall 2002. "Theatre" chapter and "Five Go Down to the Woods" feature article. 2005-06 Time Out Paris guidebook, 13th ed. London: Penguin Books. March 2005. Monthly theatre reviews in GoGo, an anglophone journal in Paris. April-December 2005. Weekly theatre reviews in Time Out Paris. January-July 2004. James M. Harding’s Ghosts of the Avant-Garde(s): Exorcising Experimental Theater and Performance. Ann Arbor: University of Michigan Press, 2013. TDR: The Drama Review 59:1 (T225) Spring 2015. Jeanyves Guérin's Le Théâtre en France de 1914 à 1950. Paris: Honoré Champion, 2007. Modern and Contemporary France. July 2009. Four entries: "Antigone," "Gatti," "Sarraute," and "the Blacks." The Columbia Encyclopedia of Modern Drama. Columbia University Press. 2007.